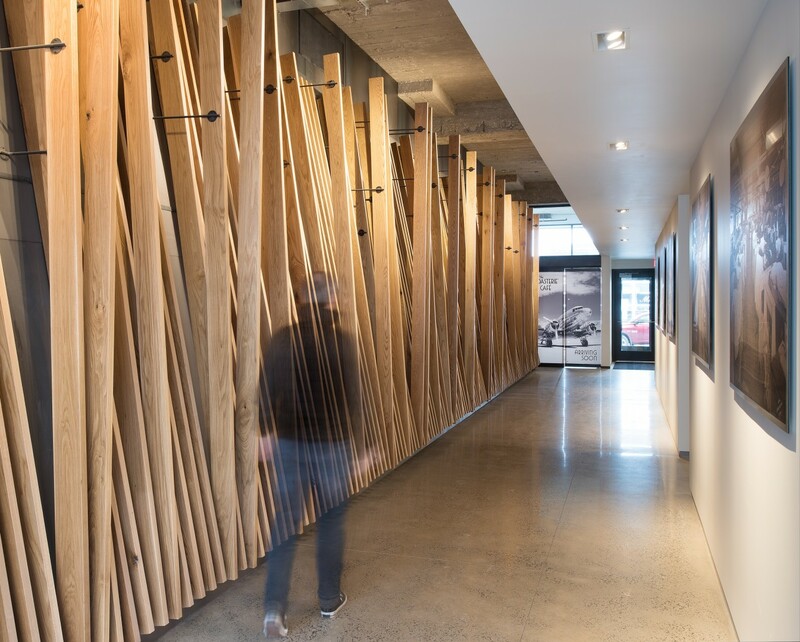 Custom Wood Wall at Corrigan Station, Kansas City, MO. Architectural Photography by Randy Braley Photography. Design and Fabrication by HINGE Woodworks.